It’s a winning combination for fans of C.J. Wilson and Mazda cars. Now you have a chance to support a charity event which will enable CJWCC to help more children facing serious medical challenges. 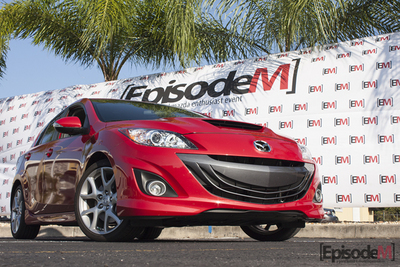 EpisodeM, a Grand Festival and Mazda Experience, is the hottest international Mazda event in the nation. This exciting, action-packed fundraiser in Central Florida will support CJWCC this year. SURE Motorsports, the main sponsor of EpisodeM, will donate proceeds from the event to C.J. Wilson’s Children’s Charities. Robert E. Champagne is President of CJWCC. Champagne says EpisodeM will help make a big difference for parents and children who can really use support. Mariacher thanks CJWCC for providing C.J. Wilson jerseys and gear that EpisodeM participants can buy to support this worthy cause. This year’s EpisodeM, sponsored by Mazda USA, will be packed with five hours of live entertainment, food trucks and intense Mazda competitions. Visitors can check out a variety of vendors and local artists. Enjoy live entertainers, and hang out with the Red Bull Wing Girls. It all starts with the Fresh Mazda Meet on Friday October 18th from 7 PM to 9 PM. EpisodeM will be held Saturday October 19th from 11 AM to 4 PM at SURE Motorsports headquarters, located at 350 Anchor Rd. Building 1050, Casselberry, FL 32707. Show your support for CJWCC by getting involved with EpisodeM. Visit www.EpisodeM.com for more information.